“It’s a dangerous business… going out of your door…. 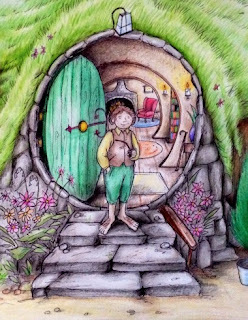 You step onto the road, and if you don’t keep your feet, there is no knowing where you might be swept off to.”* This is something Bilbo Baggins, Hobbit of the Shire, used to say to his nephew Frodo, and it’s no less true in our world than it was in Middle Earth. This is a great metaphor for travel, or for life, or for embarking on a new relationship or career. But it’s an even better metaphor for writing a sermon. There’s an aspect of this J.R.R. Tolkien quote in just about anything I do, which is one of the reasons I am attracted to Christianity in the first place. There’s no way for me to separate the idea of a journey from the way I look at discipleship, that is, following Christ. And I like to take things as they come, not decide in advance what value I’ll be getting from an experience. But sermon writing takes this “journey” idea to a whole new level. Anytime I embark on the writing of a sermon, it’s like climbing into my car in San Diego with the intention of driving to Denver. 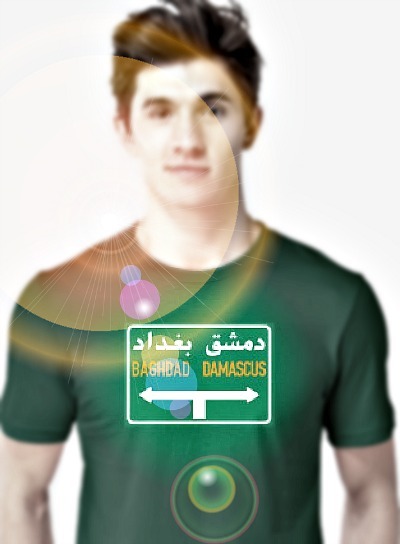 Sometimes I have a roadmap, sometimes I don’t. But no matter what my intentions might be or what resources I might have, I almost always end up taking a few side trips along the way. Sometimes I head in the direction of Denver, don’t make it beyond Vegas. Or sometimes I get thrown immediately off-course from the start, and find myself in Baja. But no matter where I end up going, through prayer and research and meditation, I see some pretty interesting sights (at least they’re interesting to me). In this way, preaching is like showing you a slide show from my last vacation. Today, however, I’m not even going to pretend like I have a destination in mind. I’m just going to climb in the car and see where it takes me. 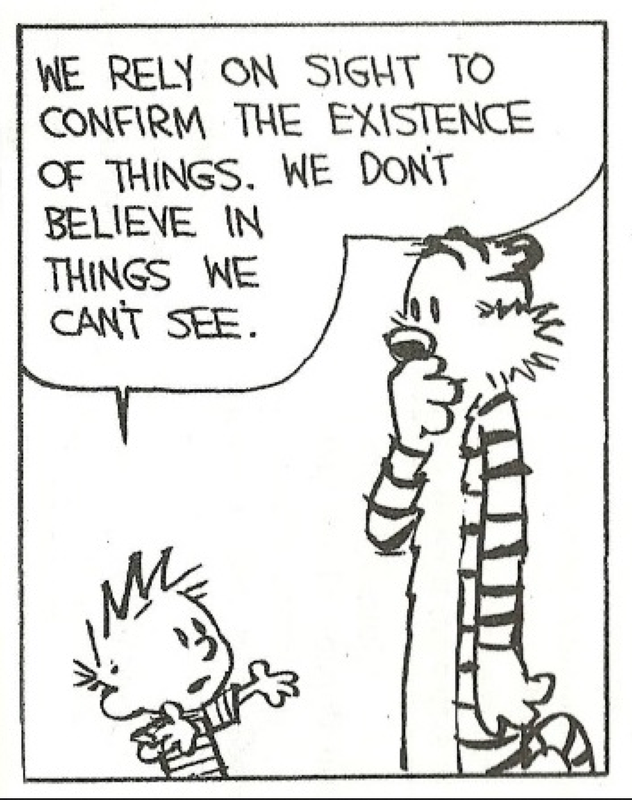 As is usually the case, I can blame Calvin for this. Not the Calvin of Calvin and Hobbes fame (though I suspect he might have the same uncertain effect on my preaching, as well as the same come-what-may outlook on travel), but the Reformer John Calvin. You see, though I’d intended to preach on the John passage—the one in Martha and Mary’s house, in which Mary anoints Jesus’ feet—I still studied all the passages appointed for this morning. And when I read what Calvin had to say about the Philippians passage (the one on the front of the bulletin I asked you to read in preparation for worship), I got swept off in a direction I didn’t intend to go. Whatever gains I had, these I have come to regard as loss because of Christ. More than that, I regard everything as loss because of the surpassing value of knowing Christ Jesus my Lord. For his sake I have suffered the loss of all things, and I regard them as rubbish, in order that I may gain Christ and be found in him [Philip. 3:7-9a]. Here Paul talks about being found in Christ. Now, taken out of context, this seems like quite a matter-of-fact statement. Quite the opposite of a journey, it implies something static. Right now, for example, if somebody where to ask us where they might find us, we’d tell them that we can be found in La Jolla. Tonight, I will be found in UTC, and you will probably be found someplace else. It’s just a plain old passive use of the verb to find [εὑρίσκω]. 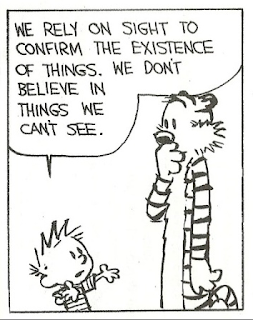 But Calvin had a beautiful way of reminding us not only of that verb’s context, but of its intended meaning. Believe it or not, the Greek word in question is one that’s actually very familiar to us. It’s a different from of the same Greek verb that we see on California’s state seal: (εὑρηκα) Eureka! The form of the verb Paul uses here is εὑρεθῶ. The verb is in the passive voice, and that’s how everybody else has rendered it: be found in him. But they pass over the context in a very indifferent manner, as though it had no peculiar force. If you read it in the passive voice, something very different should be understood—namely, that Paul was lost before he was found in Christ. Think of a rich merchant on a sinking ship. As long as his vessel is laden with riches, he’s as good as lost. But once he’s thrown them overboard, he’s found—not just in the literal sense, but also the spiritual sense; for he had to reprioritize and decide that life was worth more than riches. In other words, he’d have been lost if he hadn’t been lost. But because he was lost he was found. The verb is still passive, for he was found by others alive in the ship. But if he hadn’t gotten rid of that which was not life, he would never have been found by anyone [paraphrase of Calvin’s commentary on Philip. 3:9]. This is what Paul is talking about: He rid himself of that which was not life—a dead adherence to the letter of the law—and found that he could gain Christ and thus be found alive in him. One version of the Bible [the New Living Translation] that I normally like interprets this phrase rather than translates it: so that I could gain Christ and become one with him. Paul was really good at articulating the theology behind what it meant to be found in Christ. He even added a few details from his life from time to time. But it’s in the gospels where we see how this worked in real life. And no character shows us this better than Mary. In the western church, Mary of Bethany and Mary Magdalene are thought of as the same person, so all we need to remember is that this Mary isn’t the mother of Jesus but the sister of Martha and Lazarus—Lazarus being the one Jesus raised from the dead. 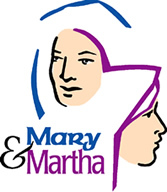 We don’t know a whole lot about Martha and Mary, but of all the characters in the gospels, they are among the most true to form. In their own ways, they both defy social norms. Martha appears to be a female head of household in a time and place where women were not heads of household. Other women depended on their closest male relative—husband, father, son—for their rights and their welfare. But Martha is never mentioned as being dependent on any male relative. She appears to own her own home, and entertains the Anointed of God in it. Just as true to herself and just as non-conforming is her sister Mary. Mary appears to be the younger sister, but she’s not all that interested in following in her sister’s very responsible footsteps. 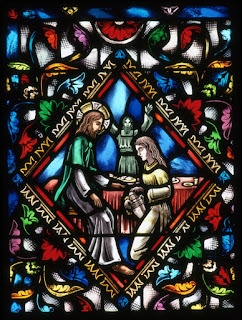 When Martha is working hard in the kitchen and serving Jesus at table, Mary seems always to be at his feet, learning all she can from him. 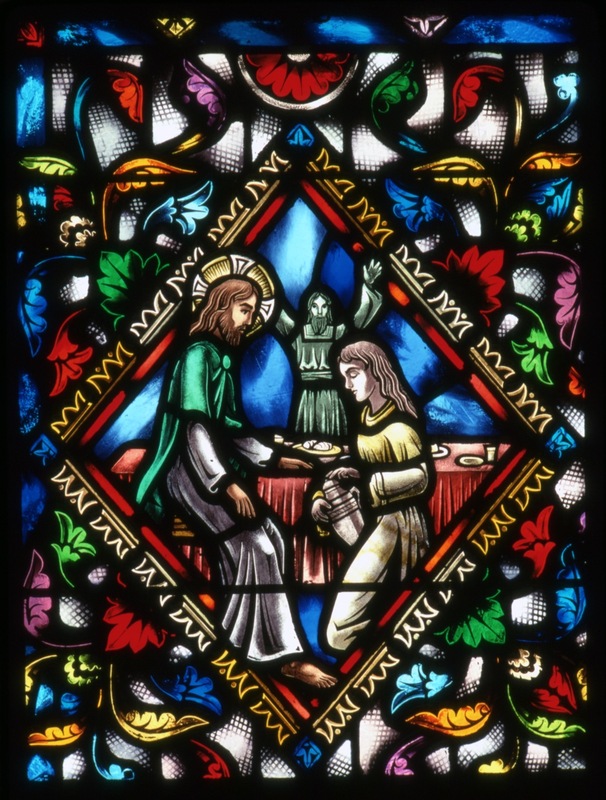 In another very famous story (and, God willing, we’ll hear a sermon on that on July 17), Jesus is in Martha’s home and Martha complains to him that her sister isn’t helping out in the kitchen. Jesus answered her, “Dear Martha, you’re preoccupied with many things; but there is need of only one. Mary’s made the best choice—she’s chosen something that can’t be taken away from her” [paraphrase of Luke 10:41-43]. In this morning’s passage from a different gospel, we find a similar situation: Martha serving and Lazarus sitting with Jesus at the table. Once again Mary’s at Jesus’ feet. In the other story, Mary is doing something a woman shouldn’t do: learning at the feet of a master when there’s work to be done in the kitchen. Today she’s doing something absolutely scandalous: She’s let her hair down and she’s anointing Jesus’ feet with a substance she’d spent a lot of money on, and she’s drying his feet with her hair. I think we’re tempted to think that it was a different culture and that that’s just the way things were done back then. But no, what Mary did at Jesus’ feet was no less scandalous when it happened than it would be now. Mary had thrown away all that was not life in order to be found in Jesus. And here we see her express that found-ness in the most profound way anybody expresses it in the whole Bible. What would it have been like to kneel at the feet of the very Person who brought all that into your life—who brought life into your life—and anoint him for his death? How did she know he was going to die? It sounds to our ears like Jesus is saying it’s okay not to care about the needy. Except his words and actions—his whole life up to this point—say otherwise. He’s actually stating a simple fact: To be found in me is more than just losing yourself in working in my Name in the world; it’s also finding strength in worship. No act of true worship—no matter how extravagant—has ever done anything to hurt others or discourage God’s people from helping them. In fact, worship is what strengthens the children of God to do God’s work in the world. Far from discouraging outreach to the poor, Jesus is here saying that helping them in God’s Name will always be a part of who his followers are, both before that moment in Bethany and after, until the end of the age. Instead of engaging in debate about what Jesus meant when he said, “The poor you’ll always have with you,” Christians should look at this passage from John and ask ourselves where we are in this scene. Are we Martha, so busy working for Jesus that we are unable to enjoy his company? Are we Lazarus, one who has been given a new lease on life, but who just remains in the pew? Are we Judas, one who has learned to manipulate the faith he professes to his own advantage? Or are we Mary, one who, like Paul, counts everything else as lost—time, treasure, reputation—in order to be found in Christ? Whoever we were yesterday, we don’t have to be that character today. And whoever we are today, we don’t have to remain that character for the rest of our lives. I don’t know what Mary was like before she met Jesus, but I do know who Paul was. What he counted as loss before being found in Christ wasn’t money or perfume. It was something that seemed much more important than either: Saul used to think his religion was his treasure, and he was very proud, not only of how closely he adhered to its rules, but of how effectively he drew attention to those who broke the rules. But when he encountered Jesus on the road to Damascus, he lost Saul the fundamentalist, and was found as Paul, who was able to see his closed-mindedness as a complete waste of time and energy. I don’t know where it originated, but there’s a popular saying these days: Nobody’s ever said on their deathbed, ‘I wish I’d spent more time in the office.’ And if that’s true, then I think none of us, when we think about the people we miss the most, would ever say of our relationship with them, ‘I wish I’d spent more time waiting on them.’ John’s account of Mary’s extravagant offering to Jesus, and Jesus’ extravagant acceptance of it, is so vivid that the fragrance that filled that room in Martha’s house in Bethany still lingers in our sanctuary this morning. It adds something to every prayer we pray and every hymn we sing. There’s a time and a place to work in the kitchen like Martha, or to sit in the pew like Lazarus. There may even be a time to be shrewd like Judas (though I hope that’s last on our list). But the best example of what it means to follow Jesus is Mary, whose richest gain she counts but loss, who pours contempt on all her pride, and is found once again at Jesus’ feet. * J.R.R. Tolkien, The Fellowship of the Ring (Boston: Houghton Mifflin, 1965), p. 83.